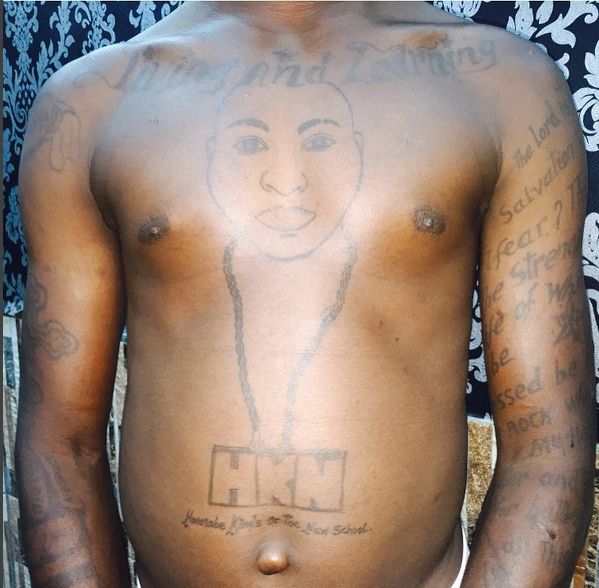 Music star, Davido has finally met his ultimate fan – who made a bold move to have the star’s face tattooed on his chest. The ‘Fans Mi’ singer had earlier shared a photo of the loyal fan on Instagram requesting his followers to help seek him out. 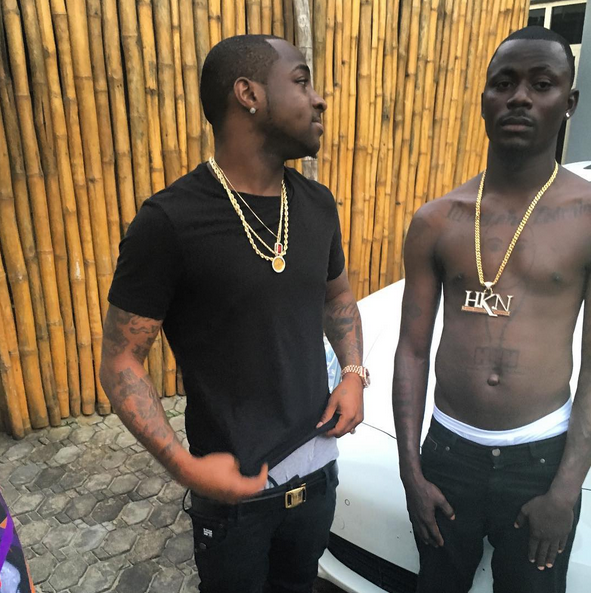 Davido last night posted a photo of the dude stating that ‘He family now’. The unidentified fan also appears to have been indoctrinated into the HKN gang as he is seen rocking O.B.O’s gold chain in the photo….